The CrossFire team is Chandler’s teen ministry. This powerful group has been serving the City of Chandler for over 3 decades teaching and training young people moral values and Godly prinicipals. Young people will find a place to belong and congregate here. At The Door Christian Center we believe that Jesus can change lives! Here are testimonies of lives touched by the power of Christ’s resurrection. If you are looking a true change from the “inside out” Jesus is the answer! Samuel Donavan: I first want to thank God for my salvation and for what he has done in my life. I grew up in a broken home and because of this I became bitter and angry. I knew about God, Jesus, and salvation but I always told myself that it wasn’t for me. I moved to California from Arizona with my family and I started going to a Pentecostal Christian Church. A few months later I got saved. We moved back to to Arizona and I found my old friend’s. I begin to backslide. I started smoking weed and stealing for money because my friends were doing it and I thought it was cool. We started going to The Door Christian Center and I just felt God’s conviction again. I saw that God really saved my family. I gave my life back to God. I’ve been saved for four years and it has been the best years of my life. I thank God for what he has done in my life because if it wasn’t for him I would be in prison right now with the rest of my friends. He’s blessed me with a lot and gave me a beautiful girl to live the rest of my godly life with. Chemiah Casoose: Hi my name is Chemiah Casoose and I am 25 years old. I was born and raised coming to The Door Christian Church and never missed a church service. I grew up always hearing that Jesus died on the cross for my sins, how we can ask him to live in our heart, and make heaven our home. I was a typical church kid who just came to church because I had to and not because I wanted to. When I was 8, I found a passion for basketball that would later drive me away from God. I played on a club basketball team and I loved it more then going to church. I would miss Wednesday church because of practice and I would miss Saturday and Sunday because of game tournaments. Basketball was such a passion of mine. When I was 12, I had three high schools ask me if I would come to their school and play on varsity team as a freshman. I ended up ranking 14th in the nation for forward guard position at Adidas San Diego Camp. I never got in to weed or parties, but I did start trying alcohol. I didn’t really think about God because I was happy at school and playing basketball. I really looked up to my older brother. He was into girls, drinking, drugs, and the party scene. To me I couldn’t wait till I grew up and do all he was doing because it looked fun. It wasn’t until he gave his life to God and I could see the evident change in his life that change my life forever. The change in him made God so real to me that I wanted what he had. I accepted God in my life when I was 13. He set me free from internal depression no one knew about and gave me true happiness. I felt so clean on the inside! I got filled with the Holy Ghost at at a revival with Pastor Jerry Fussell. That is where I experience incredible joy, peace, and love in my life. I felt true purpose in my life! I had a different passion after I got saved and the love of basketball faded away. I wish I could say that I served god to the fullest all these eight years, but there was a time where I had backslidden and turned away from God for a couple of months. I fell into temptation and ran into an ungodly relationships and thought I was experiencing love. I ended up being heartbroken and alone. During that time, I re-dedicated my life to God and felt a true love and forgiveness. It really strengthened my relationship with God and enlarged my faith. After that experience, I felt so unworthy to have any blessings or any one to love me for what I have done. God helped me forgive myself and those who hurt me. I feel so blessed to be able to say I married my best friend and the love of my life. He loves God and loves me regardless of my past. God is truly amazing and has shown himself to me in so may ways. He has changed my life and now I am excited to see all that God has in stored for me and my husband. At The Door Chandler Christian Church we seek to make a difference worldwide. We are a local Chandler church with a vision to reach the world! Currently, our fellowship of churches consists of over 2,100 churches throughout the 195 nations of the earth. Recently, our teenagers took a trip to Paramount, CA to outreach for Pastor Tomas Bueno. They went into the city of Compton and proclaimed Jesus Christ in the streets. The day before the outreach, they were able to go to Six Flags for fun! Below is a short video commemorating the trip. All lives matter. We are The Door. We are entering into one of our most fruitful seasons of the year! Please pray for these events and for conversions. We appreciate all those who will be involved in labor and in prayer! Looking to make a difference in your youth? Every year our mother church hosts a gathering for our teenagers to encourage them not only to live for God, but to be filled with the holy spirit. It’s a great time of making impact and just plain fellowship fun! For more info on this event please contact Tim Haynes, Craig Lewis, or Pastor Torey Williams. This year we will be hosting a Trunk or Treat for the community! Families will be able to set up cool displays and dress in costumes to pass out candy. If you’d like to be involved there will be a sign up sheet in the back of the church near the sound booth. Every fall we have a dinner for people new to our church. If you are interested in learning more about our church and what we are involved in, this is definitely for you! The city of Chandler has a light parade every year. We invite you to join us in either building the float or supporting! Christmas is truly the “Most Wonderful Time of the Year”! We get to celebrate the birth of our Savior. Every banquet is an enjoyable evening of food and great entertainment that’s Christ-centered. Our children’s church works hard to put on these plays that help everyone remember the true meaning of Christmas! They start practicing in October all the way up to the play. The play for this year is called, “A Loan Manager”, so be sure to join us for a spectacular evening. TOP SECRET! Get a sneak peek of our Christmas Play at the light parade on December 1st! We will be updating the calendar as well posting banners and reminders. Stay tuned for exciting reports! As alway, we are deeply appreciative of all God is doing here in Chandler and the prayers, giving, and faithfulness of the saints. Our Crossfire Teen Ministry took the Good News of Jesus Christ to the streets of Chandler, AZ. As our congregation gains favor and declares the Gospel, many people hear the message and respond. With youth from across the valley gathering for this one night event, the rally promises to be a very exciting and life changing night. While everybody is groovin’ to the soul shaking sounds of the rap group “Arrows of Purpose”, you’ll then be challenged and stirred by Stacey Dillard’s message of hope. You want life to be different for your school, friends, and family? This event is for you! In spite of all you’re doing, you still feel empty? This rally is for you! Come join us for a night of life changing excitement. Adam Soto came to know the streets at a young age. He was just 13 when he joined a gang and started doing drugs. This young man thought he was never going to change, but one day he was confronted with the question, “Where will you go when you die?” It was then, he accepted Jesus Christ, who instantly delivered him from drugs and gangs! Hear this testimony of God’s power to save a life! crossfire h ad an amazing time at the cookout. We played games of all sort such as basketball, football, volleyball and we even got to play the water balloon toss. There is no better place then to have a great time with our friends from church,especially the youth. The Teen rally will begin at 7:30 pm November 9th. The rally will be held in our “Extreme” building, located at 399 S. Washington St., Chandler, Arizona 85225. Washington St. is one block east of Arizona Ave, and one block south of Frye Rd. is the location of our building. The Extreme building will open at 6:00 pm for prayer and a time of fellowship. 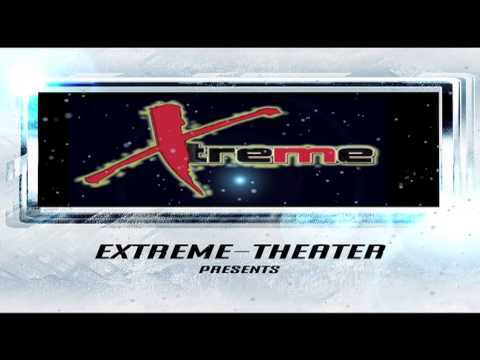 The “Extreme” Café will be open from 6:45 pm to 7:30 pm. Crossfire Teen Ministry will be having an old fashioned Fish Fry October 12th, at 7:00 pm. We are expecting this to be an exciting time of praise and worship, testimonies, and great fellowship. Live music by Manifest Destiny. The Fish Fry will be in the church fellowship hall, of the Door Christian Center, 585 E. Frye Rd. All teens from 13 to 18 years of age are welcome. Bring a friend!